What would buying or leasing a new car be like if dealerships didn’t hold a monopoly on the market? It’s a possibility that emerging car subscription services and traditional automakers alike have dangled in front of consumers in recent years, in spite of the dealership industry's attempts to slap those services away. Instead of leases, some car manufacturers are now offering direct-to-consumer “subscription” services as an alternative, promising savings by cutting the middleman -- the dealer -- out of the equation. Volvo’s online subscription service is one of the industry’s more successful attempts at this. At $600 or so a month, the Care by Volvo program isn’t exactly cheap. But in exchange for joining the program, customers are loaned Volvo’s new crossover SUV, the XC40, with the option to trade in for yet another new car after a year. The monthly subscription fee also includes insurance coverage and maintenance. By last November, less than a year after the program rolled out, Volvo executives were bragging about the “challenges” of its success, including a customer backlog and the wrath of the auto dealer monopoly. "Growth is fun, but it can also complicate things," Anders Gustafsson, the CEO of the Swedish brand’s North American division, told Automotive News in an interview. The issue hasn’t been fun or complicated for the California New Car Dealers Association (CNCDA). 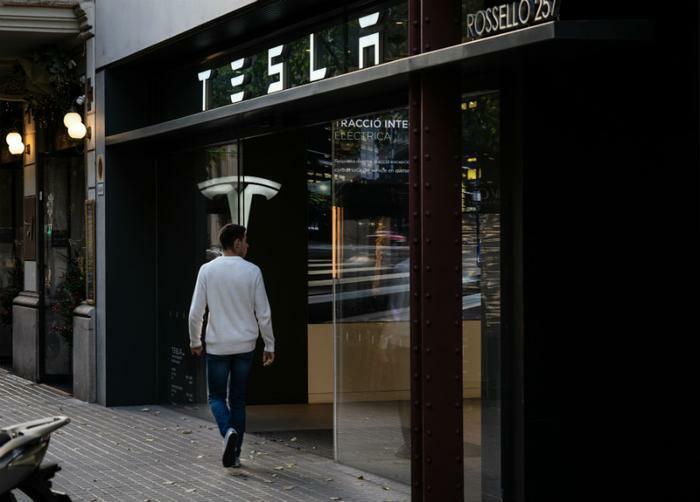 The powerful trade group representing the state’s 1,000 dealers, which has already been closely monitoring other car subscription services and Tesla stores, filed a complaint with state regulators in January against the Volvo program. In its complaint, CNCDA cites existing state laws that ban manufacturers from competing directly with their own dealers. “Our view with Volvo is that they are working around their dealers,” CNCDA President Brian Maas tells ConsumerAffairs. For decades, long before Tesla and others threatened to upend the traditional car sale model, going to the dealer was the only way to purchase or lease a new car. State laws protecting franchises from manufacturers, dating back to the history of the automobile, ensured it stayed that way. Those entrenched laws have received little attention until recently. As the cost of buying a new car continues climbing -- reaching an average of $34,000 in 2019, according to Experian -- manufacturers are considering alternative ways to get consumers interested in new cars. And they’re finding that the car dealership industry isn’t going away without a fight. “I can’t see existing auto manufacturers getting rid of dealers,” auto industry analyst Bob Reisner told the tech publication Digital Trends recently. In California, Maas says his dealer industry group has lodged multiple complaints against Tesla. Long before Tesla came on the scene, California lawmakers proposed an idea that was strikingly similar to Elon Musk's approach to selling cars. Back in 2005, then-State Assembly Members Mark Leno and Dave Lieber introduced a bill that would have allowed manufacturers to sell hybrid cars and other fuel-efficient cars directly to consumers. At the time, critics said that dealers were inflating the costs of hybrid cars to take advantage of consumer interest in cleaner cars with better mileage. Keeping dealers away from fuel-efficient cars would make the vehicles cheaper, expand access, and consequently improve air quality, the thinking went. But the bill died in committee. Advocates blamed the car dealer lobby for killing interest in the proposal. "We're not opposed to modifying the sales process, but the proposal 14 years ago, as I recall, wasn’t thought-out,” Maas says. Since then, Tesla has famously ditched the car dealer model with showrooms that are often compared to Apple stores. The company has gotten away with this in California under a loophole in state laws, which allows direct-to-consumer sales if the manufacturer isn’t competing with a nearby dealer. The fact that Tesla calls Silicon Valley its home probably helps. CARS has been outspoken about the dangers of self-driving car testing, Autopilot, and other experimental car technologies that Silicon Valley is embracing. But when it comes to the dealership law, Shahan says that Tesla is being unfairly targeted by dealerships that simply don’t like competition. Outside of California, buying a Tesla can be considerably more complicated. In New Mexico, state lawmakers recently introduced a bill specifically to allow United States-based electronic car manufacturers to sell directly to consumers. Currently, an estimated 600 people in New Mexico own Teslas, but all of them had to leave the state or order the cars online in order to make the purchases. Local dealers are lobbying against the new proposal, informally referred to as the Tesla bill. “All we’re asking them to do is do it under the same laws that every dealer does,” Charles Henson, president of the New Mexico Automotive Dealers Association, told a local newspaper. In Missouri, state dealers and Tesla went to court over whether Tesla’s business model should be banned in the state, as well. "You’re supposed to sell vehicles through the system that was created in the early ’80s," Missouri Automobile Dealers Association President Doug Smith reportedly said. "And until that system is modified or changed, that’s gonna be our stance." And in Connecticut and Michigan, Tesla has only been able to open showrooms for display. Tesla employees can tell consumers about its cars at the display-only stores, but they can’t actually sell them there under regulations pushed by the dealers. Several weeks ago, it seemed that the state of Tesla stores would be in further limbo. Elon Musk made the surprise announcement that Tesla was planning to close most of its stores nationwide and move all sales online. But shortly after that announcement, he backtracked and assured Tesla employees that most company stores would remain open, after all. Meanwhile, for people who can’t afford to buy a Tesla, a number of third-party subscription services have offered their own answer to Volvo’s subscription plan. State dealers subsequently lobbied to place limits on those subscription services in New Jersey and Indiana. The dealership industry in California says they are closely monitoring the third-party car subscription services. Shahan, with CARS, blames the car dealer lobby in California for numerous gutted attempts to allow more direct-to-consumer sales in the state. She compares the process of visiting a car dealer to getting a root canal. “Dealers know that most people hate going to car dealerships,” she says. “They know that if people aren’t forced to go there, they're not going to go." “I reject that premise,” Maas responds. “I think our industry is successful because we're serving the needs of consumers."